American Airlines. Back when they actually used amenities to compete for passengers. They'd commissioned a campaign to promote a roomier cabin on all their planes. Then 9/11 happened. The same week this campaign was supposed to ship. Denver Metro Convention and Visitors' Bureau. Papa Jack founded Rockmount Western Wear. There's the head chef at the Brown Palace. And that's Jack. He plays the trumpet in his taxi. Denver Center Theater. For each show, we commissioned a unique illustration that arose from the subject matter. Spoiler alert: Owen Meany accidentally kills someone with a baseball. 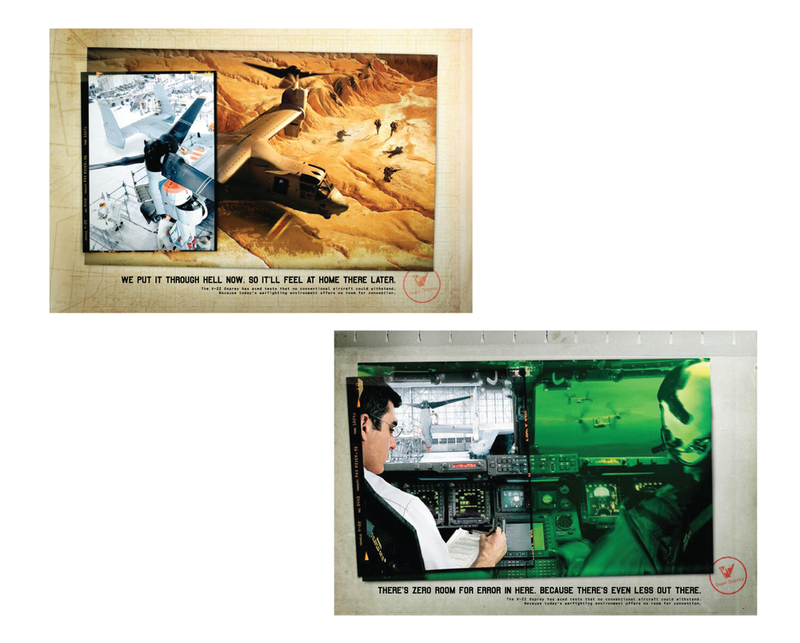 This campaign came around way back when the V22 Osprey was still an experimental aircraft. I got to sit inside one, do a photoshoot with a bunch of marines. Really cool to see it in regular use these days. Dallas Area Rapid Transit. That yellow chevron is ubiquitous in Dallas. When DART wanted to promote destinations and their corporate pass program, I decided to play with it. Through a freak geographic and climate happenstance, the country around Grand Junction duplicates nearly exactly the conditions of the Bordeaux region of France. So they make wine in it. Good wine. Waaaaaay back in the day I worked on Subaru America. This was an outdoor teaser campaign for the Detroit Auto Show. Was the first redesign of the Legacy in several years. FiServ Financial Services decided to shift to a partnership message. So we dug up the best partners we could think of. Here's a smattering of identity work I've done over the years.